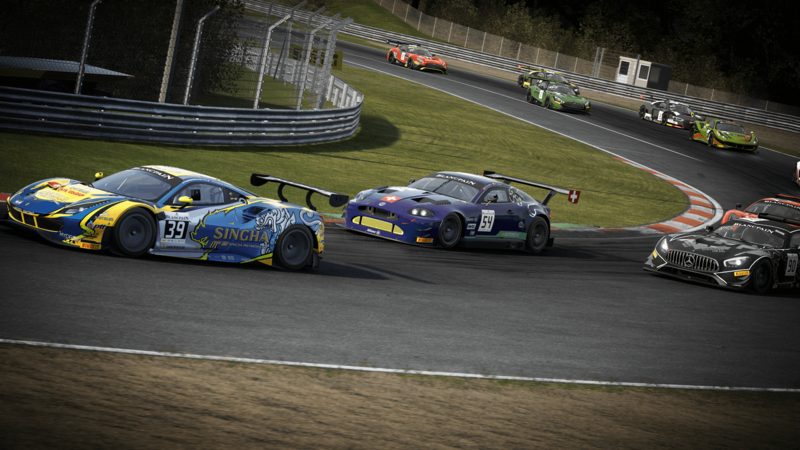 Discussion in 'Assetto Corsa Competizione' started by GTPNewsWire, Feb 12, 2019. This article was published by Michael Leary (@Terronium-12) on February 12th, 2019 in the Assetto Corsa Competizione category. please kunos do a better sky box and the game will be PERFECT !!!!!!! errr... they need to do a lot more than that - certainly in VR. @Terronium-12 everything I've read since I got involved in early access shows end of Q1 release, article says this summer has something changed there? I think when finished it will be a great multiplayer experience and I'm happy they are delaying certain content to polish. It still needs optimization. Two things about this article i dont understand. First, i knew the Nissan was coming in February for quite some time. The NSX not being part of this update is no surprise, at least for me. I wonder why Kunos themselves pointed this out. Secondly, whats up with that summer release. The game was always set to release with the 2018 season in march. An 2019 season update is scheduled for summer, as far as i know. I suspect though that it may very well be summer before it's released. There are lots of features (and probably optimizations) still to be done. Yeah, im affraid this might be the case. Super excited for the full release, though. Summer release or not. I have what I wanted and I'm very pleased with ACC EA so far. No news @RaceFuchs . They said last week that it will be delayed until "next week", they did not specify a day or something. So it can be from monday to friday i guess. I assume worst case in situations like this, so that I can be pleasantly surprised otherwise. Wonder what the unexpected announcement might be. A console version? Release date? Delayed release? But that would not be something to get excited about. Release 0.6 has been announced to be next week, the wait is almost over, for those who have been waiting. th3o, LeGeNd-1, Whitestar and 1 other person like this. This time last year I was excited when it was revealed, now I'm just kind of meh with it all. I hope 1.0 brings with it a shift in opinion for me and some serious optimization because right now I'm just not impressed. Release 0.6 has been announced to be next week, the wait is almost over, for those who have waiting. downloading 1.9 gb update right now! Downloaded it also. Now let's see and try ourselves.